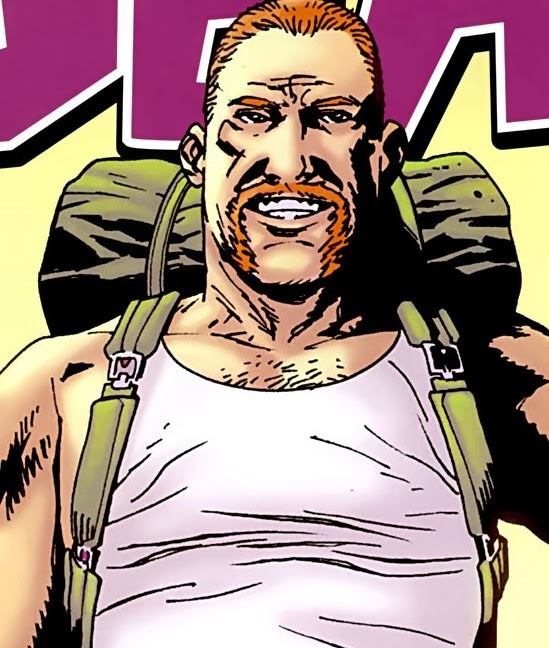 The Walking Dead and Skybound have created Movember team entitled Abraham's Army. It not only celebrates the mustachioed man, it is raising money for men's health and I would encourage all of you to check it out here. I joined the team and am currently sporting a dirty lip for a good cause. You can also purchase Abraham shirts with 20% of the proceeds going towards Movember here. Enough about facial hair, let's move on to the three great books I picked up this week. 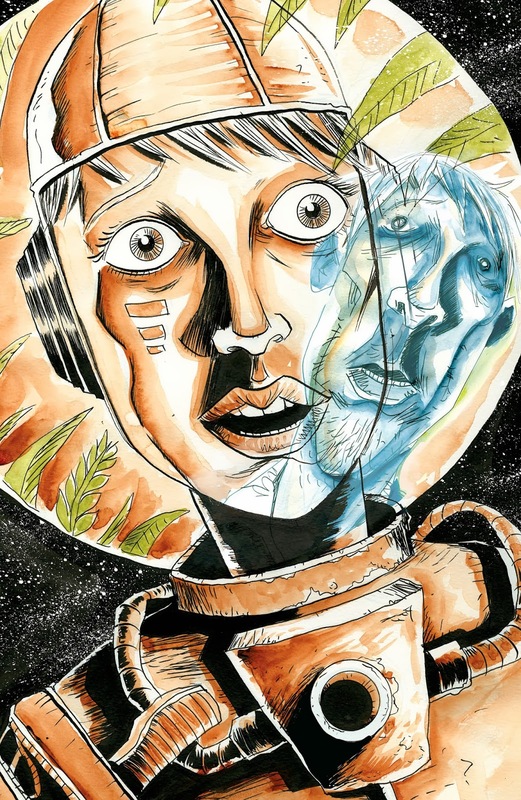 Trillium #4 - Jeff Lemire continues to impress with his sci-fi drama that connects an earth in the past with the planet Atabithi. Nika and some of the Atabithians have been trapped on earth and venture to a native tribe with Billy. Meanwhile, Clayton is captured by the humans who are planning a raid on Atabithi to secure the Trillium. The tension and uncertainty that exists in both times is palpable and the unexplained energy source that is coming from the temple that connected the two times simply compounds things. 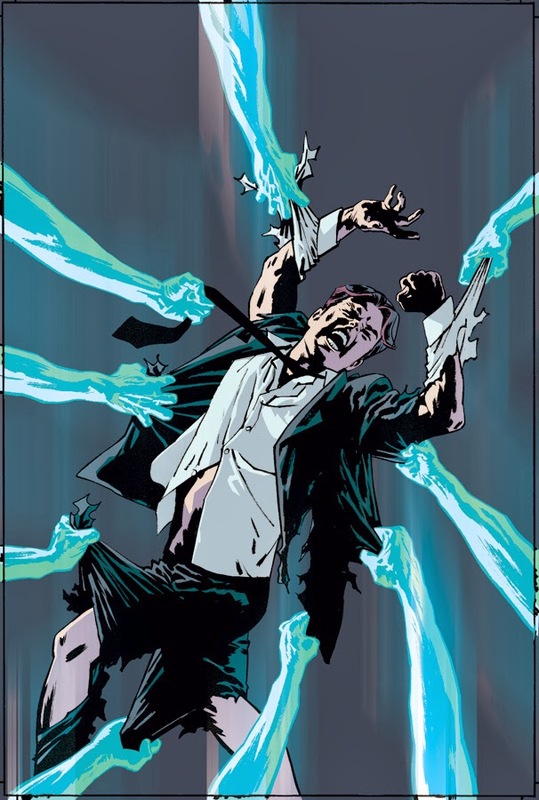 Lemire's artwork continues to amaze me in its ability to connect the reader with the character. Some of the most powerful panels show the struggle these various groups have communicating with one another and the frustration and terror these individuals have. There are some hints as to what is connecting the two times, but there still remains a lot of intrigue around the Atabithian, the Trillium, and the humans from different times. Ghosted #5 - This new title from Joshua Williamson has been a pure joy to read thus far and the first arc was brought to an enjoyable conclusion. When we left Jackson and his crew last time Trick, the only member of the team capable of performing an exorcism, had just been possessed by an evil spirit. Night has fallen on Trask Mansion and things do not look good for Jackson and company. Throw in some back-stabbing, bribing, and the real reason for the Trask Mansion invasion and you are provided with an entertaining book that provides great closure to the first arc. Williamson has clearly put a lot of thought into the characters and it remains wide open just how far he can take this series. Definitely worth your time and money to pick this supernatural title up. Ten Grand #5 - It has been quite some time since we were able to visit J. Michael Straczynski's Ten Grand and I am happy to be back. C.P. Smith is the new artist on board and the timing seemed very appropriate. As a refresher, Joe is cursed and can only spend time with his deceased wife if he dies in a righteous cause. He is then granted five minutes with her before returning to life. In the last issue we learned that his wife is not in Heaven or Hell. Smith's first task was drawing the purgatory in which Joe finds himself as he searches in wife. The dramatic change from Ben Templesmith's style is welcome and worked with the dramatic shift in the story. A lot of questions remain, but Straczynski's ability to create meaningful characters and intrigue will bring me back. An unexpected issue that was pleasantly surprising.